When you’re adding new lighting to your own home, it can be somewhat easy to pick fixtures based on how they look and how they will function within a certain room. A rental property that you own may require a different approach when it comes to lighting. It’s still good to choose fixtures that you like, but it’s important to remember that you’re not going to be the one living there. At Hortons Home Lighting, we can help you find the ideal options for your property. What Will Appeal to Renters? If you recently acquired an apartment, townhome, or condo that you plan to rent out, you may have plans to renovate it before accepting tenant applications. A big part of any renovation is updating the lighting, and you’ll want to find fixtures that will appeal to potential renters. If the kitchen seems dark and dingy, brighten it up with new paint and new fixtures. Pendant lighting over the island and recessed lighting across the rest of the ceiling will provide the illumination necessary for cooking, cleaning, and entertaining. You’ll want to remove and replace any old, broken, or outdated fixtures, as that will bring the lighting design into the modern day. Flush-mount fixtures that were installed in 1980 may not be appealing to a renter who’s looking to live in a contemporary apartment. Even the smallest changes can make a big difference! As you’re working on the inside of the property, updating the lighting, painting the walls, and choosing new decor, it’s important not to forget about the outside. 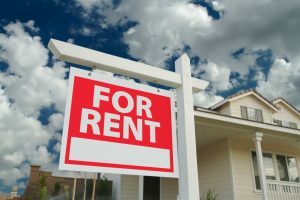 People who are interested in renting from you will see the exterior first, and if it’s not properly lit or there are broken fixtures, it could turn them off before they even set foot inside. A new porch light, new landscape fixtures, and other options can greatly improve the outdoor ambiance and appeal of your rental, and if there’s a backyard, you’ll want to put some of your budget towards optimizing that area’s lighting. Even though you won’t be paying the utility bill, a “selling” point for your property could be that the house or apartment has all new light fixtures. This can mean that the electric bill will be reasonable each month, and your tenants won’t have to worry about using too much power. Modern fixtures with efficient bulbs can provide better light while using less energy, and any renter will appreciate that! If you’re updating a rental property and need new lighting, stop by one of our showrooms today. You can speak with an expert about the best options for the kitchen, bathroom, bedroom, or any other room you’re focusing on, and we’ll provide fixtures that fit your budget. You might have one property or you might have several, but whatever the case may be, we’re proud to be your source for contemporary lighting. Visit a Hortons Home Lighting location in Chicago, La Grange, or Orland Park.